There are no instructions included with this device other than how to assemble it and those are marginal. It may be a good tool but it will sit in the cupboard till Vertex or MLCS or someone publishes complete instructions in paper or YouTube. 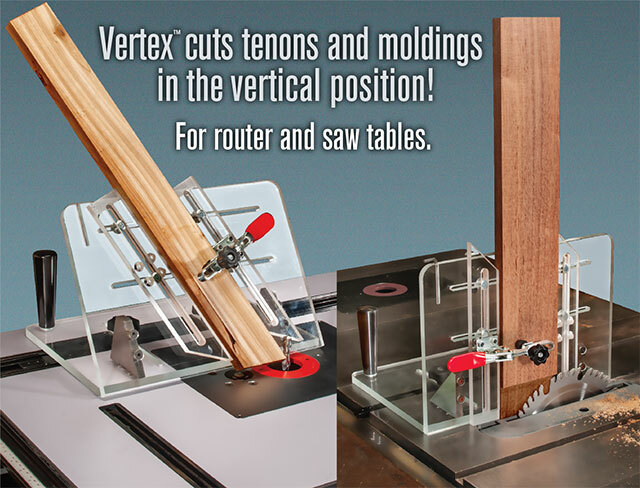 I certainly will not recommend it to fellow woodworkers at this point and will be doubly careful about ordering anything from Vertex or MCLS in the future. If there are complete instructions including video or photos somewhere, I and anyone who has this jig would appreciate the info. MLCS NOTE: There should be an Instruction Manual in the box and it will be posted online shortly. We will be happy to email a copy in the meanwhile. Like previous reviews, I would like to see a video on its use. This would give me a better idea of what it can do. Don't get me wrong, it's a good product. Just not a great one. The initial instructions leave the face in a 90 degree angle. If you want the other angles it offers, you have to undo 4 screws and flip-flop the angle block or replace it with the other one (included.) It's no big deal, just time-consuming. Especially if you're only going to make 1 or 2 cuts with the new angle. On the other hand, it simplifies working on the edges of tall pieces & 1 corner of a 90 degree cut. Still, I gave it 4 stars for the aggravation. WORTH THE MONEY! I have yet to use this jig because there are no instruction or videos on how to set up and use it. It appears to be well made and versatile. I guess I could figure it out but instruction would be nice. I will give another review when I try it out.